Paul J. Seidman is a graduate of Temple University’s School of Business Administration and the Georgetown University Law Center, where he served on the staff of The Tax Lawyer. Upon Graduation, he served as a law clerk to Judge Philip Nichols, Jr., of the U.S. Court of Claims (now the U.S. Court of Appeals for the Federal Circuit) and afterwards as Assistant Counsel for Contract Claims at Naval Sea Systems Command. He served as Assistant Chief Counsel for Procurement in the Office of the Chief Counsel for Advocacy at SBA until entering private practice. Mr. Seidman has served as counsel in bid protests before the General Accounting Office and in Federal Court. Protests handled by Mr. Seidman have resulted in overturning a $2.5 billion Air Force requirements contract, Air Force solicitation synopsis rules, and the OFPP Policy Letters relating to audiovisual procurement. Another widely publicized case handled by Mr. Seidman resulted in the removal of restrictive legends on approximately 40,000 drawings for aircraft jet engine parts that had caused noncompetitive procurements for almost 25 years. As a Navy lawyer, he defended $200 million shipbuilding claims. As a private practitioner, he submitted and successfully resolved a consolidated claim against the Air Force under 21 contracts. He has also successfully challenged default terminations, Government defective pricing claims and proposed debarments. Mr. Seidman has handled cases where an agency threatened a termination for default because of a failure to meet the original delivery schedule. After Mr. Seidman pointed out that delays were due to defective specifications the agency terminated the contract for convenience and the contractor recovered termination costs. Mr. Seidman has appeared as an expert witness on various procurement related issues in Congressional hearings and before the Packard Commission. He has also drafted procurement-related legislation and regulations. “How to Save a Few Billion Dollars”, Inc. Magazine p.11 (February 1982). 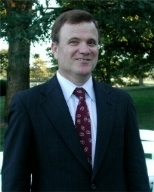 He is co-author of the book, “Representing Small Business, ” published in 1986 by John Wiley. Mr. Seidman was elected a Fellow by the National Contract Management Association. He served on the Advisory Board of The Government Contractor, currently published by Thomson Reuters and the Data and Patent Rights Committee of the American Bar Association, Section on Public Contract Law. His biography appears in Who’s Who in America. Mr. Seidman has lectured in programs sponsored by the American Bar Association Section on Public Contract Law, Georgetown University Law Center, D.C. Bar, National Contract Management Association, various trade associations and the U.S. Air Force. He served on the staff of the 1980 White House Conference on Small Business. Paul Seidman is AV-rated under Martindale Hubbell’s Peer Review rating process. The “A” signifies the highest level of legal skill, the “V” signifies “very high” adherence to professional standards of conduct, ethics, reliability and diligence. Mr. Seidman is admitted in the District of Columbia, Maryland, Virginia, the U.S. Court of Appeals for the Federal Circuit and other Federal Courts.